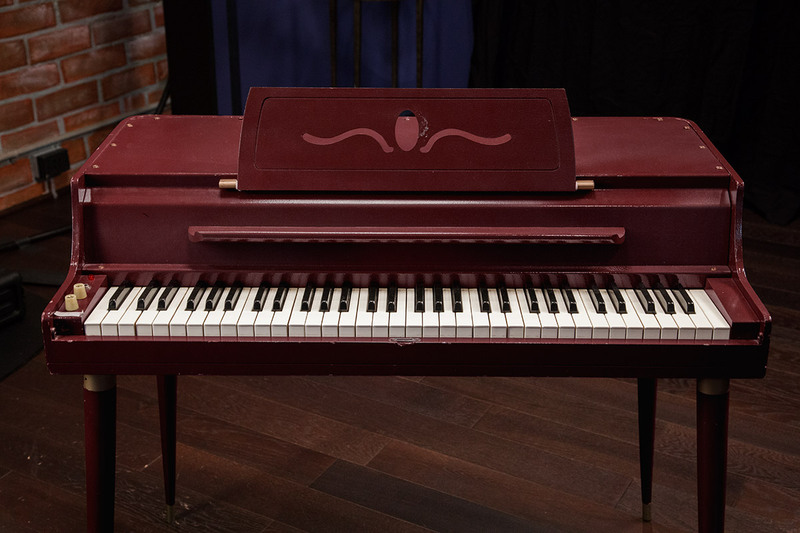 Many players say the iconic sound of the Wurlitzer® 140B is absolutely the vibiest, the most soul-bending electric piano sound ever to rule the airwaves. The "Wurli" was made from 1954 to the early 1980s and used metal reeds – small blades that were struck by the hammers of a real piano action. The reeds tend to wear out with use and go out of tune. They are tuned by adding drops of solder to the tip and then filing it off until the pitch is right. In the quest to improve them, Wurlitzer went through four different reed styles. The 140B, released in 1962, was the first solid state model. Pickups routed the sound to a self-contained amplifier and speaker. Sometimes the speakers were mic'ed, but most early models were modified with a 1/4" jack and resistor so you could plug them into a guitar amp. Later versions came with the 1/4" jack. 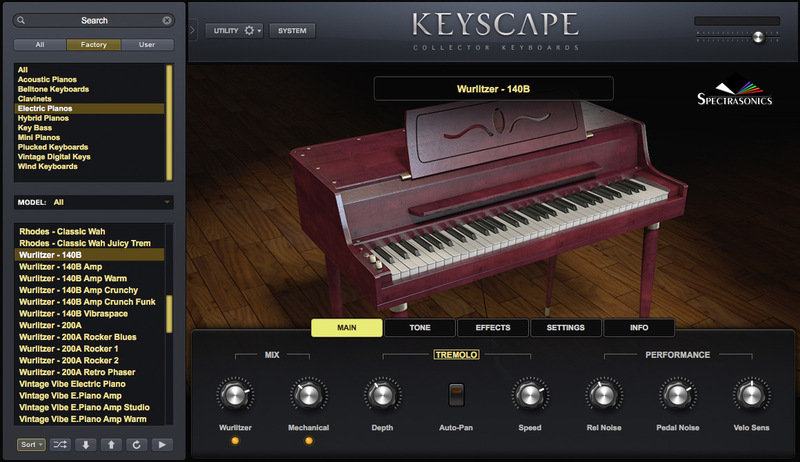 In Keyscape we present the direct out and the internal speaker, as well as the mic'ed mechanical sound of the keys, which was a popular recording technique for this model. The first musician to record with an early 100 series Wurlitzer was Sun Ra, for his 1956 "Angels and Demons at Play" and of course Ray Charles had a huge hit in 1959 with "What'd I Say," launching the electric piano into pop music history. The vintage 140Bs are rare and the most sought after models by musicians and collectors alike. Ours was lovingly restored by our good friends at Vintage Vibe®.